Balloons are always a good option for decoration, and they’re going to stay in our heart no matter what. They can be used in any function, which is what makes them likable. Balloons come in various shapes and sizes. Also, you can use your innovative ideas to decorate the venue. We all know that helium balloons are very likely to deflate because helium is light. There are some precautions which you can take, to make them last longer. Make sure the pets are out of reach and don’t know where the balloons are. You can keep them in a separate room, and only open when decorating for the final event. Pets are going to play as soon as they see the balloons, and it is harmful to them also if they blow up right in their face, as helium can be dangerous to inhale. So be safe and store you balloons away from the pets. Sunlight can cause helium to heat, which can further cause leakage fo the balloons. Keep them in the cool place, and avoid the temperature fluctuations. Sunlight is a major problem for balloons, make sure you keep them safe from it. If the balloons are going to be used in multiple events, then it is better to store them in plastic bags, covering, or balloon bags, which is specially made for doing this. These bags preserve the balloons for later events so that you can decorate the event without any fuss. If you’re planning an outdoor party, and balloons are in the decoration, then it is better that you cool them off by occasionally throwing water. 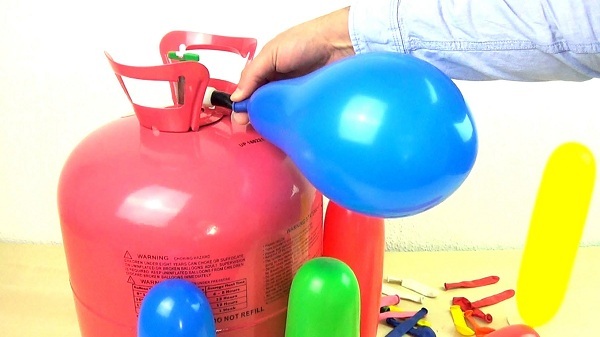 Helium molecules expand when they get heated, which is not good for the balloons. A standard balloon is inflated for 16-18 hours, but in the case of outside, it becomes half of that. So you need to take care of them in case of extra heat. It is injected into latex balloons to make them last longer. If you know that the balloons are needed to be inflated for a good amount of time, you can opt for this and make them last longer. It is a non-toxic chemical which has this unique formula that extends the time of your floatation. This compound needs to dry, so if it is in the balloons, don’t place the balloons in the bags. Otherwise, it won’t work. Just leave them in open space. Balloons are always going to be our friends in birthday parties, anniversary parties, and all the family events. If you want them to last longer, then the steps mentioned above are going to help you in keeping them inflated throughout the event, or even you can reuse them for the upcoming event in the same day. Helium balloons need extra care because it expands upon heating, and due to lighter gas, it may get leaked if the balloons are not tied properly. You need to make sure that the balloons are sealed properly.